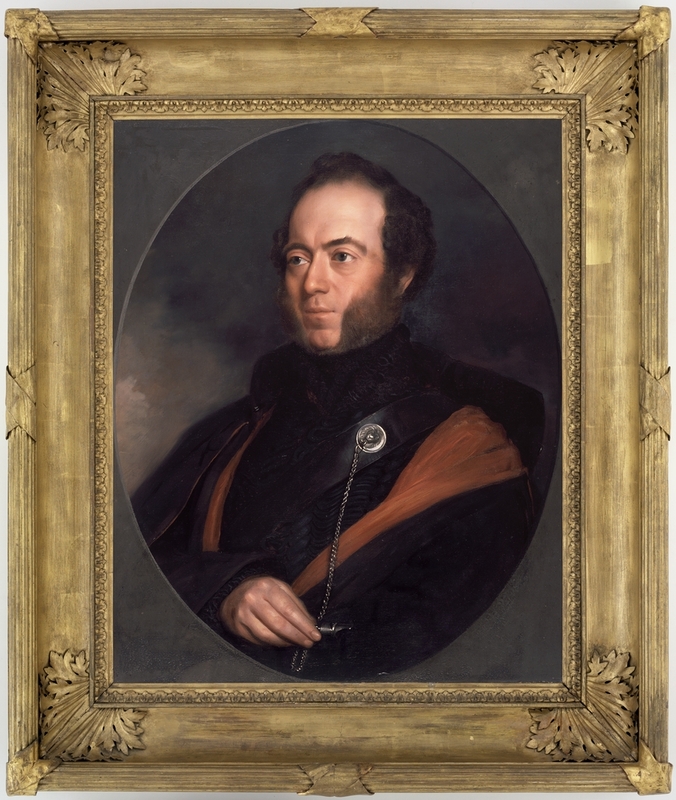 Sir Thomas Livingstone Mitchell was Surveyor-General of New South Wales from 1828 to his death in 1855. A larger-than-life character whose passions included the study of fossils, poetry and the mechanical and scientific arts, Mitchell looms large in Australian colonial history. Explorer, surveyor, road-builder and mapmaker, the story of his extraordinary life and work is revealed through the collections of the State Library of NSW. 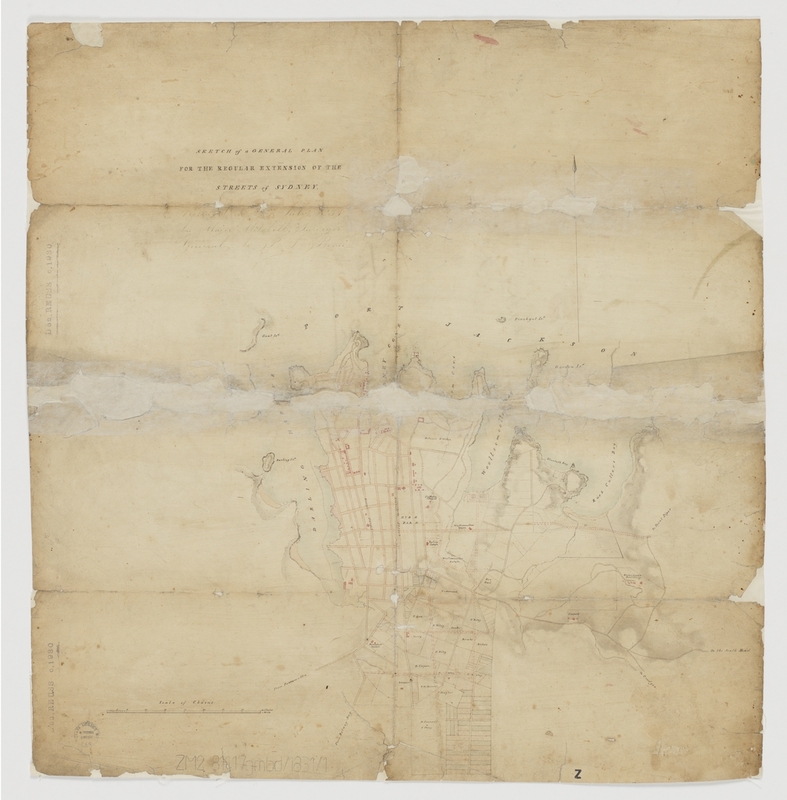 Mitchell’s maps, personal papers and artworks reflect his wide-ranging interests. 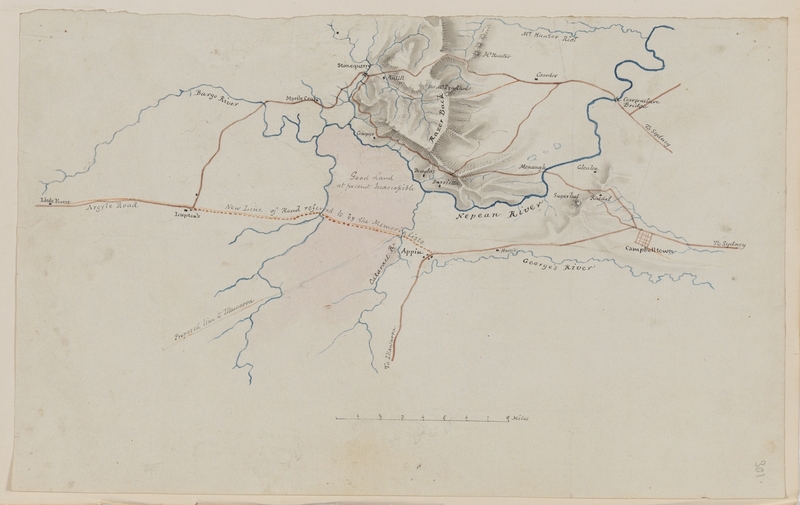 His Peninsular War maps are housed in the Dixson Maps collection, while his delicate, detailed sketches, watercolours and personal papers are held in the Mitchell Library’s Pictures and Manuscript collections. 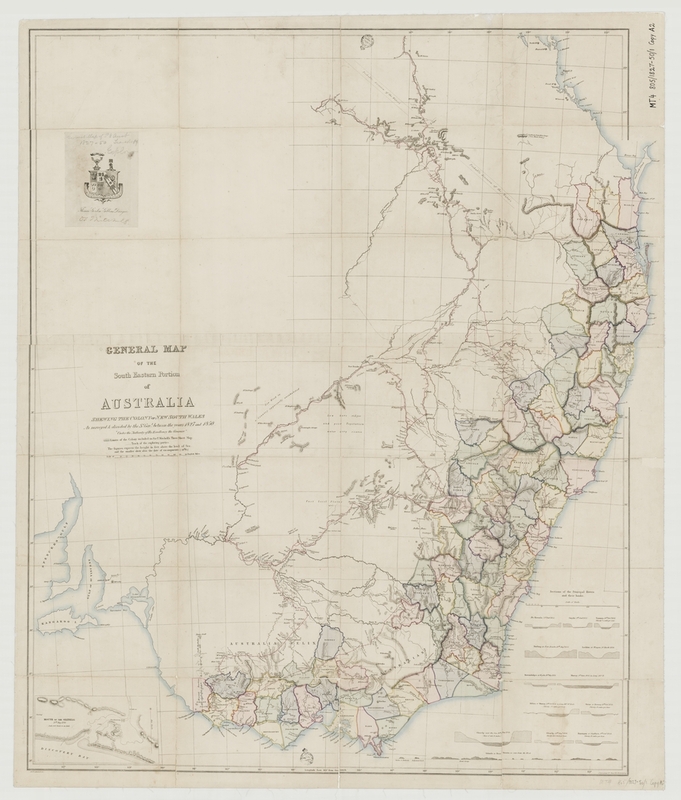 With thanks to the generous support of the Institution of Surveyors NSW Inc - Seniors Group, we have been able to digitise the Library's collection of maps created by Sir Thomas Mitchell. A selection of these are displayed in this online collection and the complete digitised collection is accessible via the Library's catalogue. 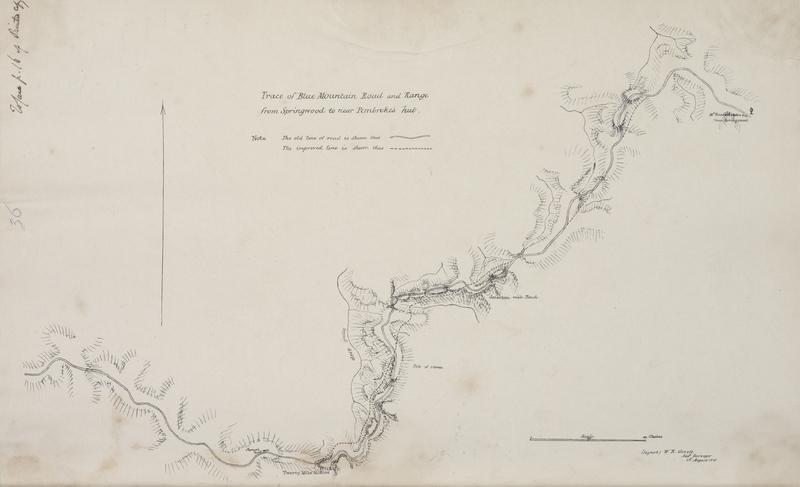 Shows route of the Namoi River expedition (1831-2); Darling River expedition (1835); Lachlan River expedition (1836); Darling Downs expedition (1846). On 9 March 1835, Mitchell's second expedition aimed to trace the River Darling and discover whether it flowed into the Murray River. With James Larmer as assistant-surveyor, botanist Richard Cunningham and twenty other men, the party departed Parramatta and travelled along the Great West Road, heading for Boree station, west of Orange. This route took them north-west of the Bogan River. It was at this point, in April that botanist Cunningham wandered away from the main group and became lost. It was not until much later that it was discovered that he had been killed by local Aboriginal people. 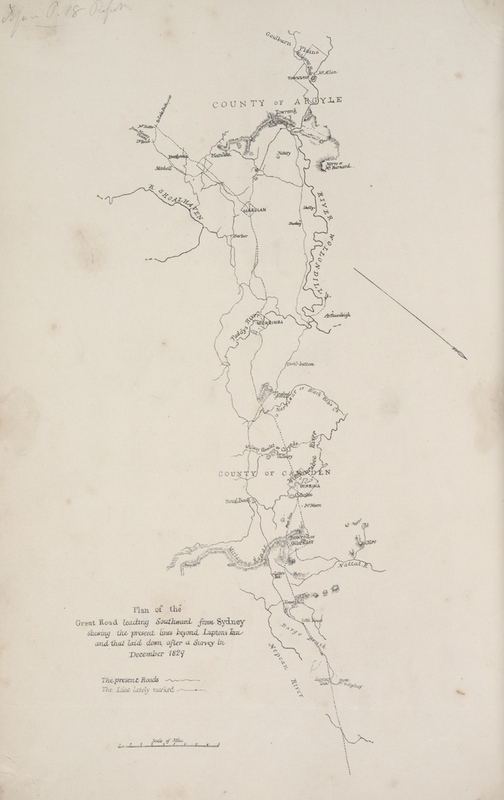 This second expedition along the Darling River resulted in further tragedies resulting from mis-understandings and clashes between some of Mitchell's men and the local Aboriginals on 11 July. 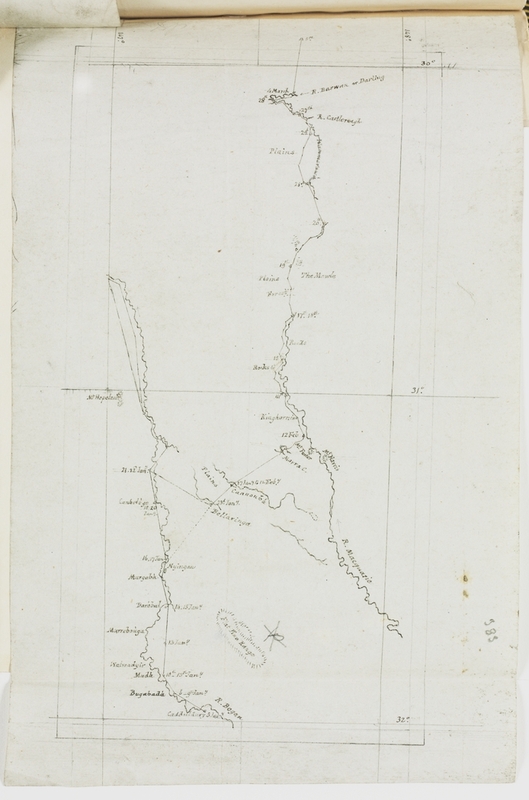 This manuscript map shows the proposed route in 1835, the intended route in 1836 and actual route on the Bogan and Darling Rivers. The sites are marked detailing where Mr Cunningham was killed, where the Exploring Party was impeded on the Darling in 1835, where aboriginal people opposed Captain Sturt in 1831 and 'natives' were dispersed by Mitchell in 1836. The positions of Cape Northumberland by survey and according to maps are shown. 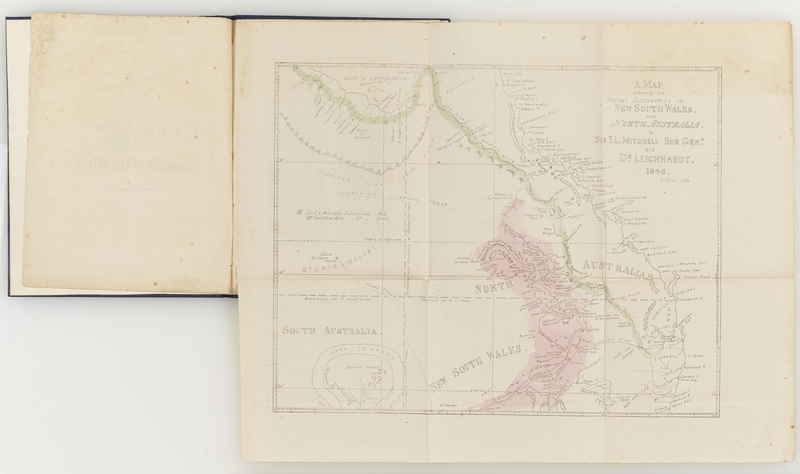 Final version of ms. map included in: Journal of an expedition into the interior of tropical Australia -- London, 1848 / by Thomas Mitchell. Map of southeastern Australia extending as far north as Rockhampton, Qld. and showing the limits of the Colony c. 1850. The map shows towns, rivers, counties and main roads. 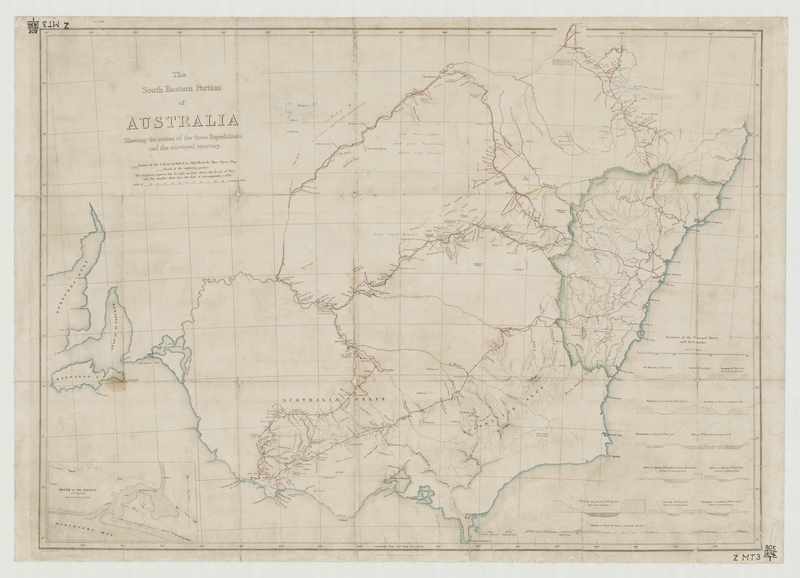 The map features the tracks of some explorers, primarily those of Mitchell, Hume and Sturt, including dates of encampment, and also a measured boundary between Victoria and South Australia. 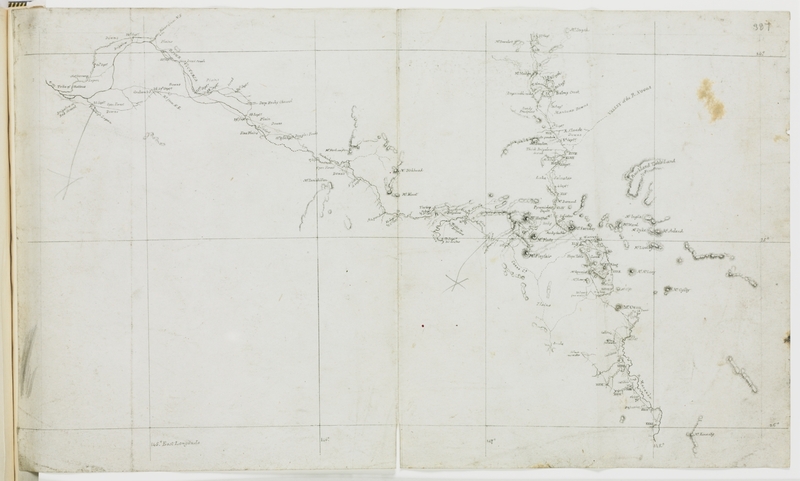 Area: from Gulf of Carpentaria to Van Diemen's Land [i.e. Tasmania]. Shown with description of topography with annotations in red by Thomas Mitchell. 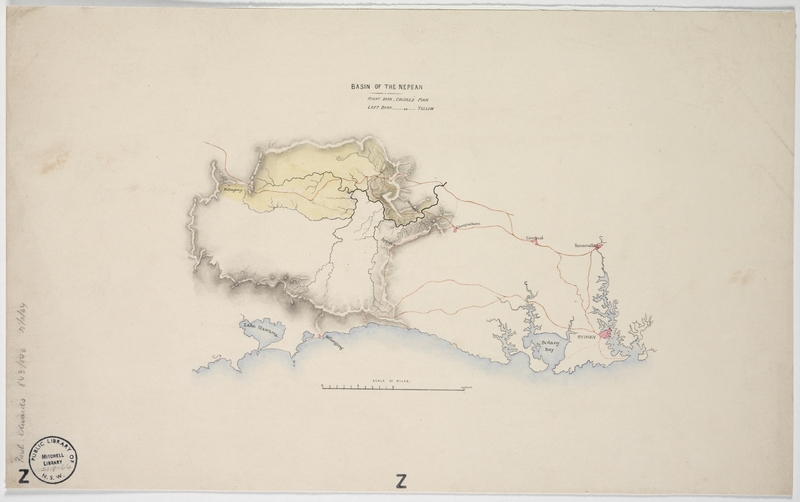 Mitchell's map of Victoria and New South Wales showing towns, major rivers and the limits of the Colony at the time. The map shows in red the routes taken by Mitchell's expedition and camps. From Vol. 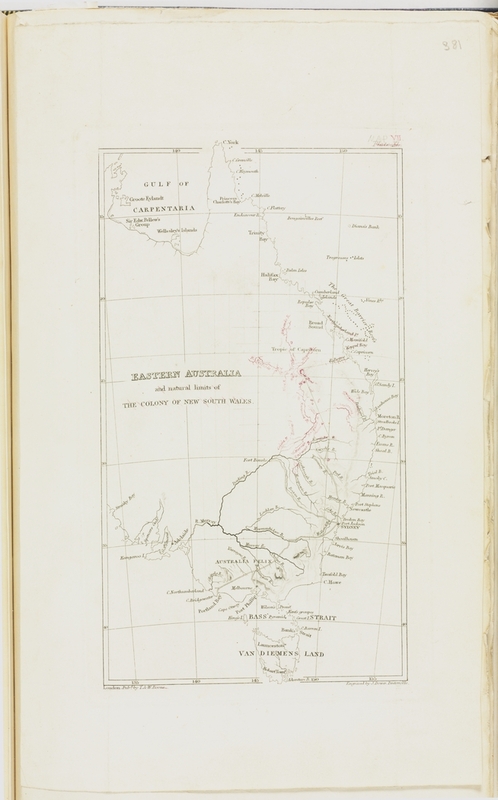 1 of: Three expeditions into the interior of Eastern Australia : with descriptions of the recently explored region of Australia Felix, and of the present colony of New South Wales / by T.L. Mitchell. London, T. & W. Boone, 1838. 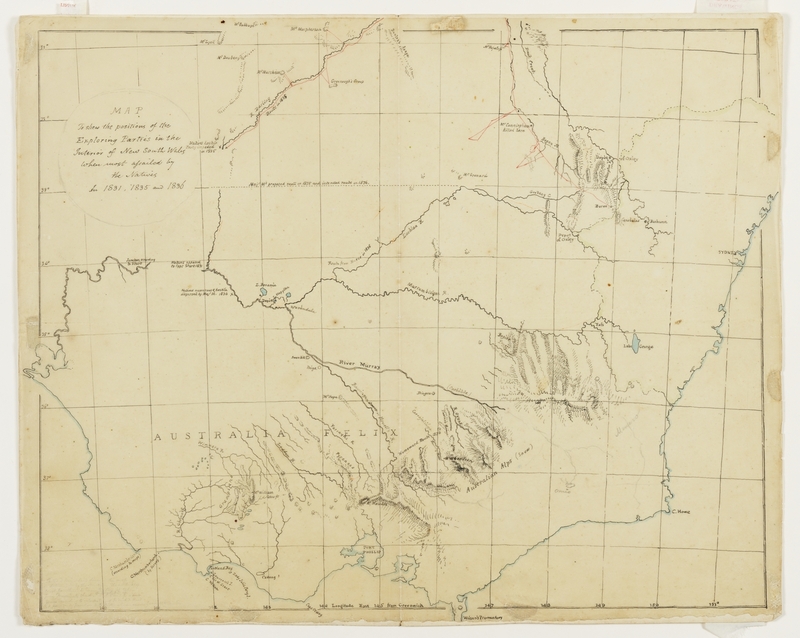 Despatches and map relating to Sir Thomas Mitchell's exploration to the north. 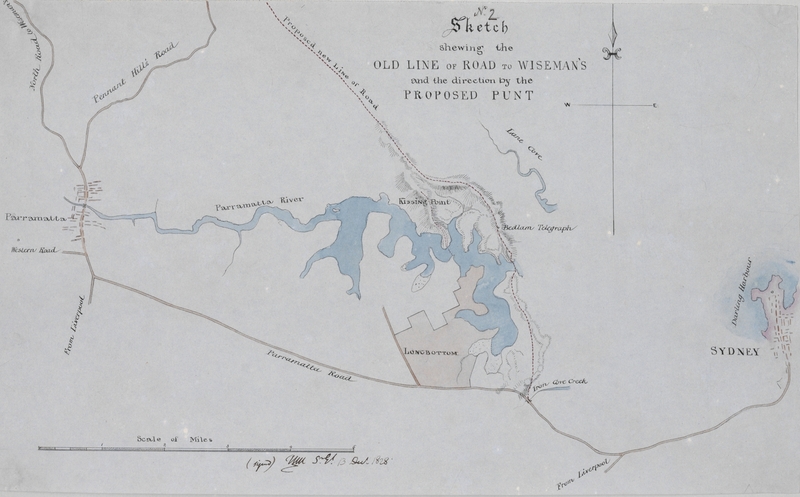 A copy of the map was submitted to Lord Stanley on 5th May 1834. 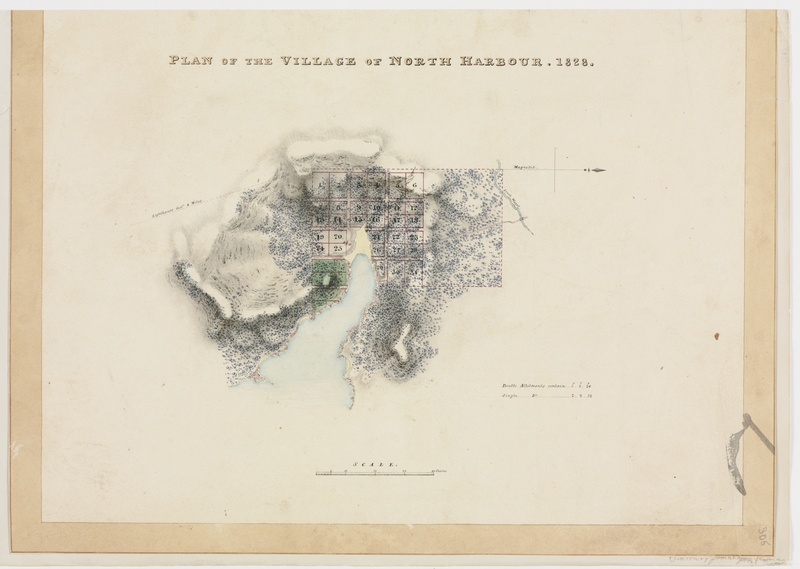 Mitchell wrote, 'I consider it one of the most accurate specimens of constructive plan drawing ever produced of an extensive territory on the same scale. Having protracted my principal points, and reduced and filled in the contents of about 900 maps ... still in this office, and with which this reduction can be compared - I have produced a map which will answer all practical purposes for which accurate maps can be required - and especially for determining general lines for railways or great roads. 'Votes and Proceedings, 1855, vol 2, Inquiry into the S.G.'s Dept., p. 8. Area: from the source of the Nepean River to Port Hacking, and from Parramatta and Port Jackson to Wollongong. 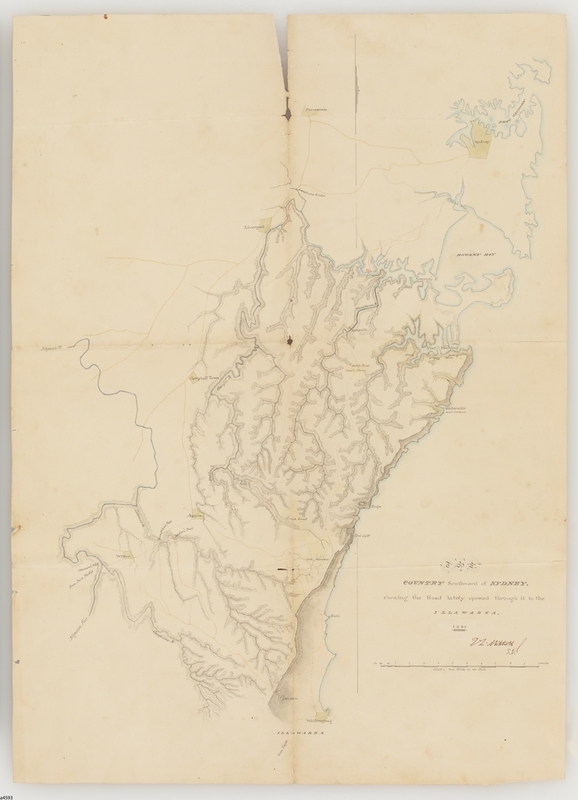 Map shows, coastline, mountains, forests, small farms, grass hills, boat harbour, marshes, bays, Parramatta, Lansdowne Bridge, Liverpool, George's River, Woronora River, Nepean River, Cook's River, Dahlia Creek, Cordeaux River, Cataract River, Campbell Town, Port Hacking, Wattamolla, Bulgo, Coal Cliff, Bulli, Mt. Keira, Broughton's Pass, Jordan's Pass, Wilton, and Pheasant's Nest. Map shows landowners, measured allotments, rivers, creeks, shoreline, and road. 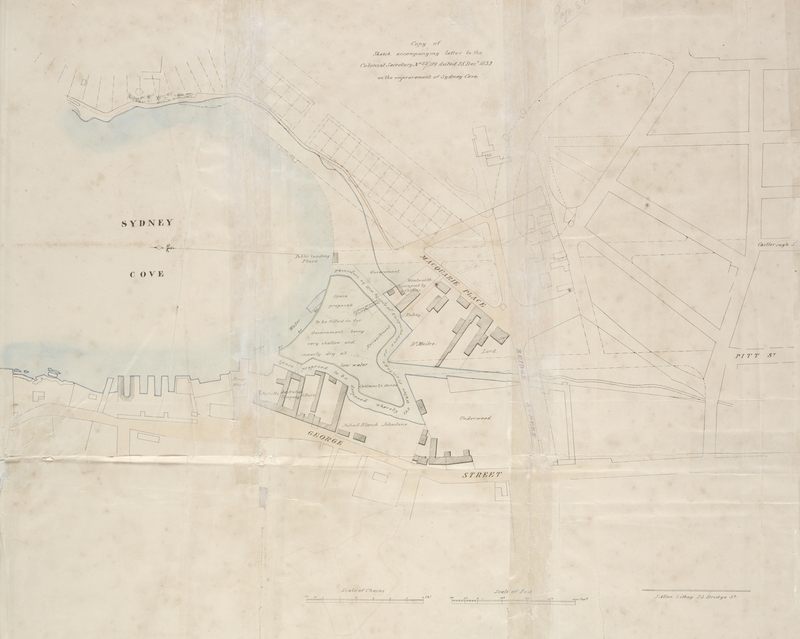 Area: from the dam at Cooks River, along the shore of Botany Bay, past Dolls Point, Rocky Point, and to George's River and Townsons [Kogarah] Bay. 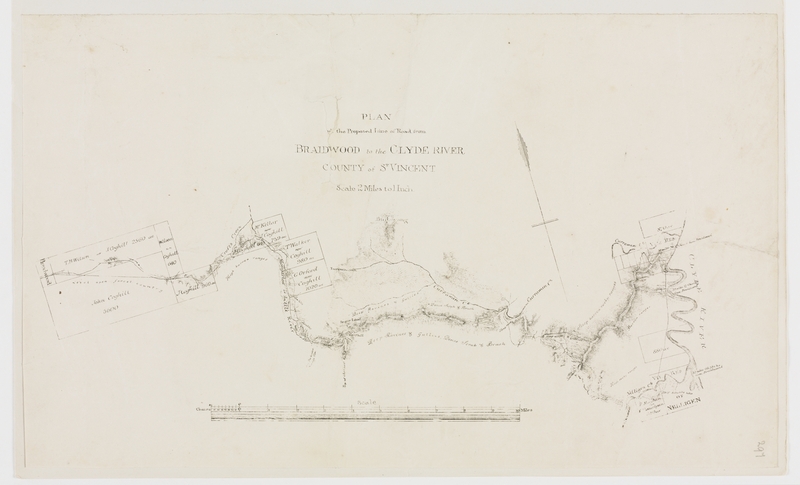 [Sketch map of proposed line to Illawarra], [Thomas Mitchell], manuscript map, 1827 and 1830? Area including Keera [i.e. Keira], Korimul [Corriaml], and Wonona [Woonona]. 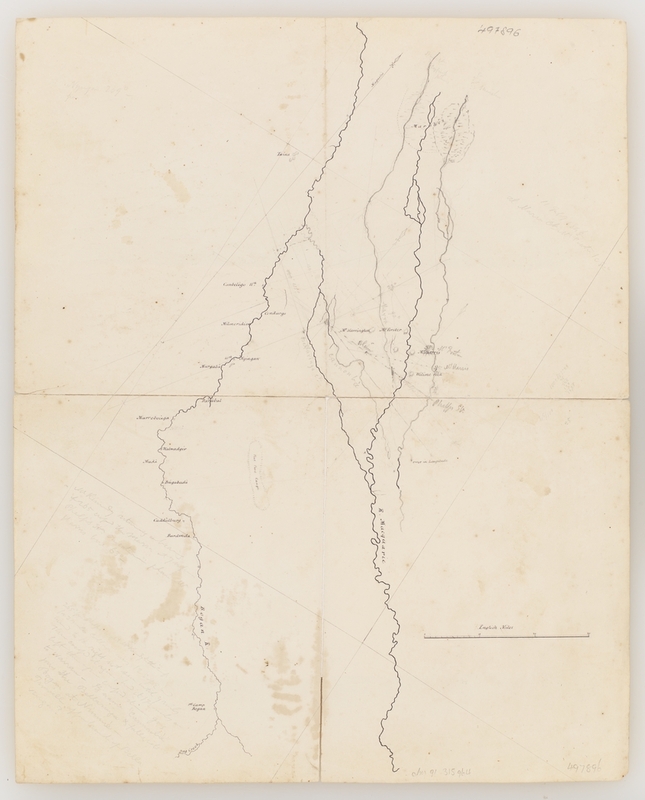 Map shows roads, creeks, and "sources of the Cataract River." 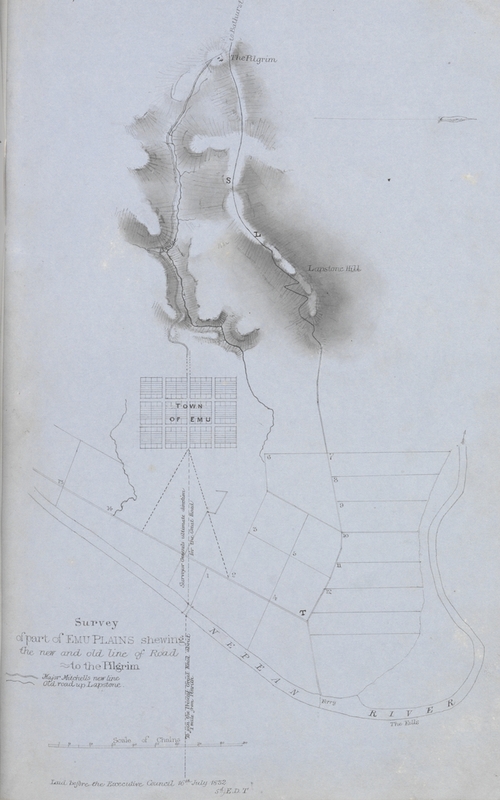 The map shows the planned, but never constructed, section of the Southern Road from Cambelltown, via Appin and Pheasant's Nest Pass, two routes from Campbelltown over the Razor Back, one via Menangle and the other via Camden. 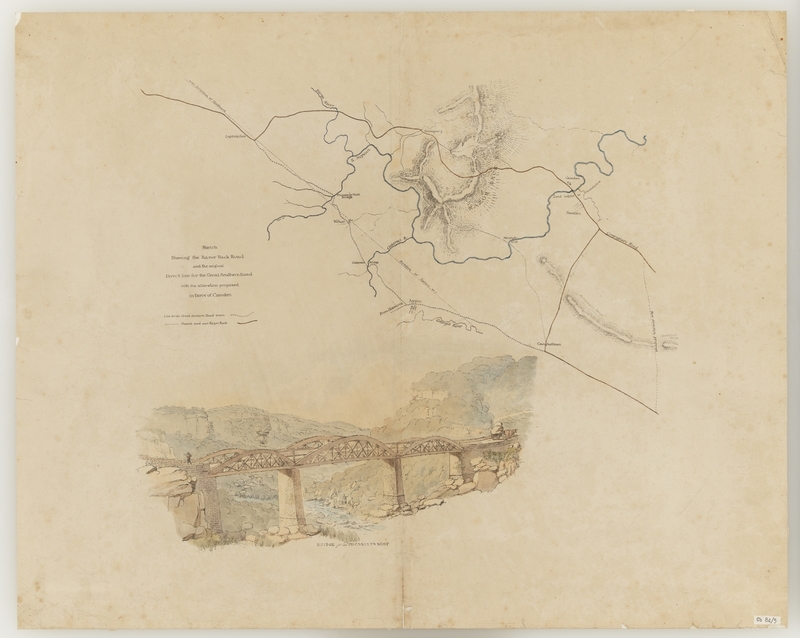 Details in the map and the bridge illustration correspond to letters of 17 April 1830 from the Commissioners for Apportioning and Valuing the Lands of the Colony, one of whom was Mitchell, recommending the building of the Great Southern Road of this map and Mitchell's progress report of 1855 (and letter dated September 1843 enclosed) which recommends the building of wooden bridges. Because of their style and relation to these features the map and view have been attributed to Mitchell and dated around the time he was advocating the type of bridge shown. Includes an illustration: Bridge for the Pheasant's Nest. 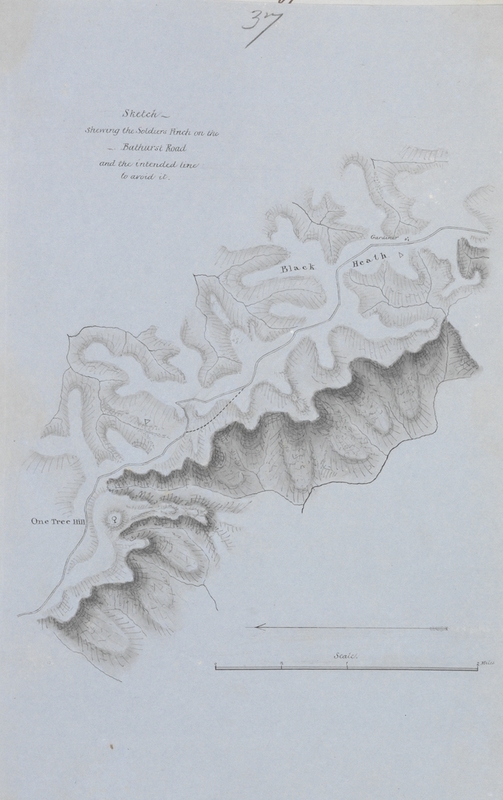 Signed by Thomas Mitchell, the drawing of this map is attributed to Robert Dixon who joined Mitchell in 1827 on his journey to survey the Gross Valley. Shows: roads "now used, or known and M[oun]t Hume's new line". 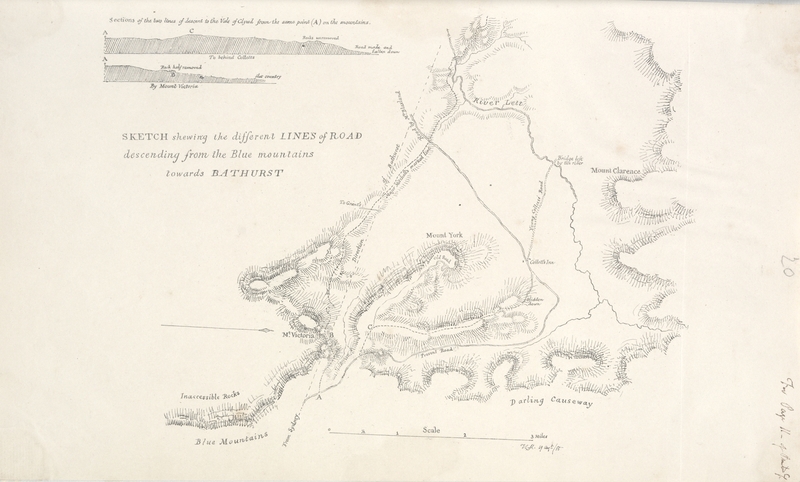 Sketch of the roads to Bathurst [cartographic material] : shewing the relative situation of the principal heights. Dates for the `Victoria Pass' sketches are estimated from the time Mitchell was superintending the building of the Pass. 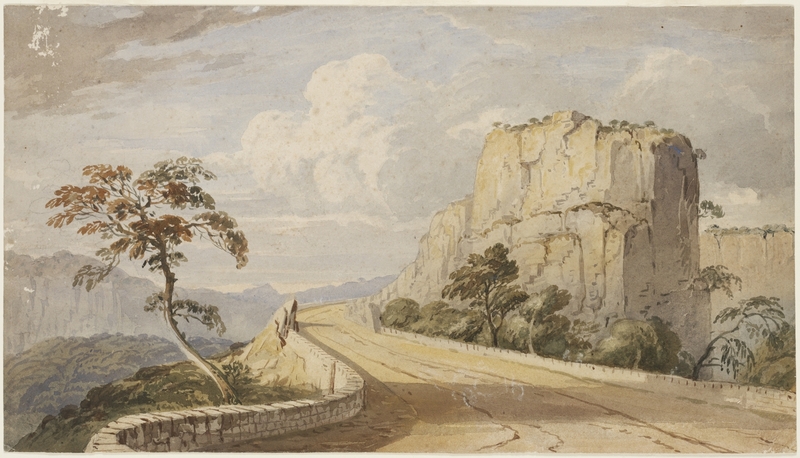 Victoria Pass, [Sir Thomas Mitchell sketches and watercolours of New South Wales, 1830-1855? drawn by Sir T. L. Mitchell], watercolour. In 1836, some 40 convicts were transferred from a depot west of Old Bowenfels to a new stockade at Bowens Hollow, on the east side of Mitchell's new line of road. At this encampment, up to eighty men worked on the road and quarried stone for the abutments of a new bridge over Bowens Creek. 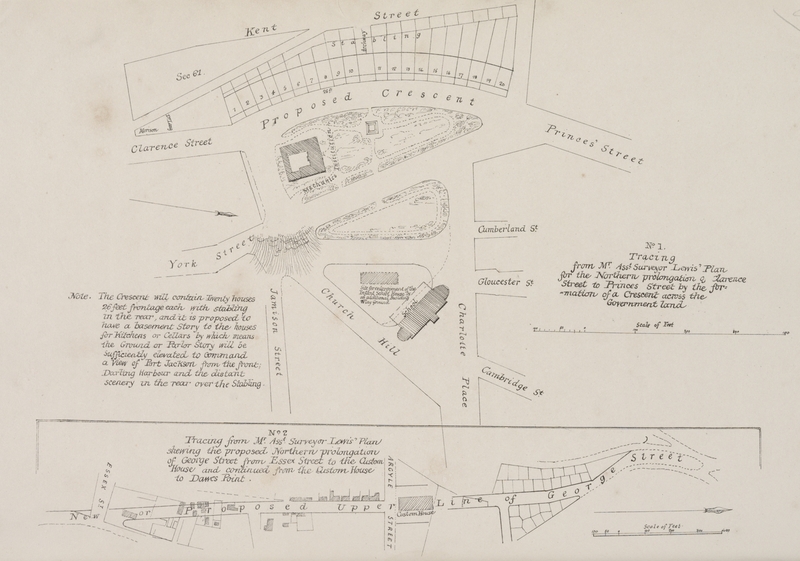 Today, a sub-division of Old Bowenfels called Quarry Place contains remains of the convict quarry. 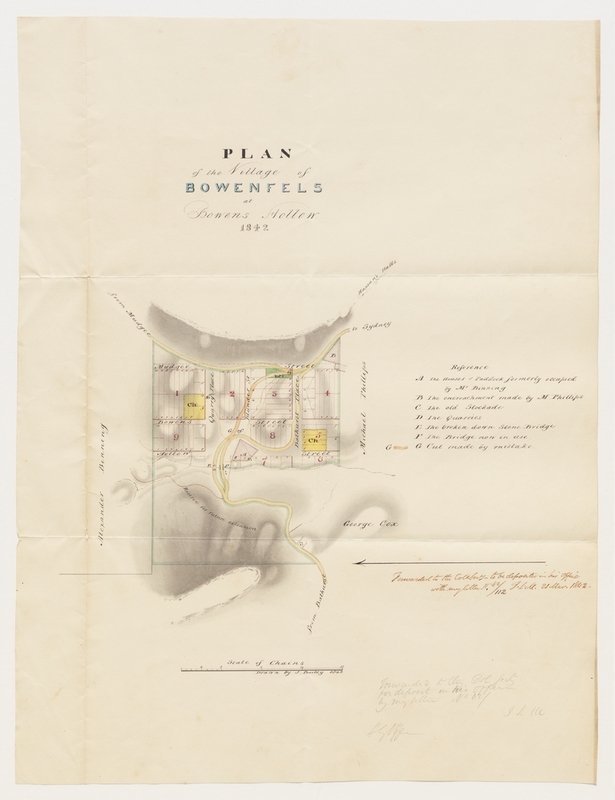 Plan of the Village of Bowenfels at Bowens Hollow, 1842, T.L.Mitchell ; drawn by J. Bailey, manuscript map, 1842. 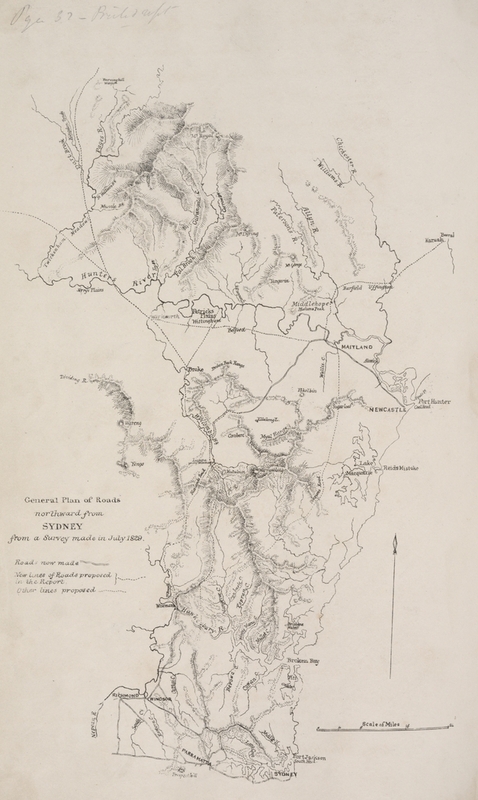 The original of map 40, published in Major Mitchell's "Engravings to accompany the report upon the progress made in roads (...)", Sydney: James Waugh, 1859. Shows most of the Hawkesbury-Nepean River catchment area, from Mittagong, Illawarra and Sydney coastal catchments, draining into Broken Bay. Area: counties Camden and Cumberland, the coast from Kiama to Manly; west to Mittagong Range. 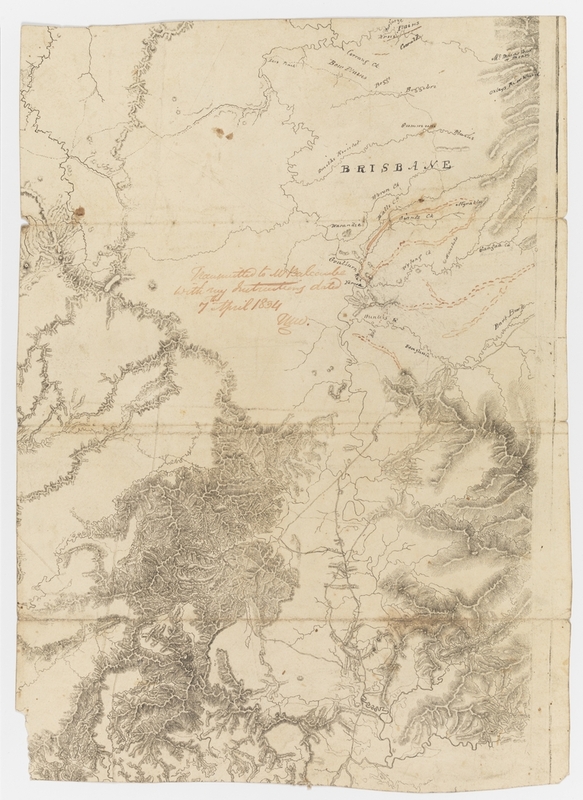 This map is an important early proof of portion of Major Mitchell's map, with name places and outlines of mountains added in Mitchell's hand. Same proof on verso, with 20% more shown at top, but no holograph notes. 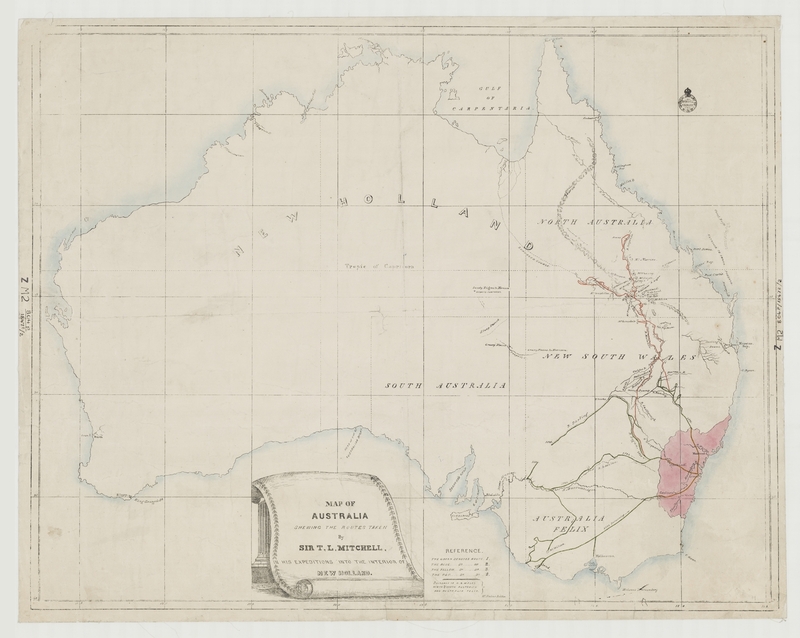 The area shown entails the Central Tablelands and Goulburn and Hunter Rivers, first surveyed on Mitchell's instructions by John Rogers from September 1829. Compared with the final engraving, this map shows that only some of the mountains marked in red by Mitchell [Jerry's Plains Range, Mt. Wambo?] were in fact added. Thomas Tyrwhitt Balcombe was son of William Balcombe of the St. Helena notoriety, who was the first Colonial Treasurer. Balcombe was a draftsman and later a field surveyor in the Surveyor General's department. A painter, lithographer and sculptor, he shot himself at his home, Napoleon Cottage in Paddington, in 1861. 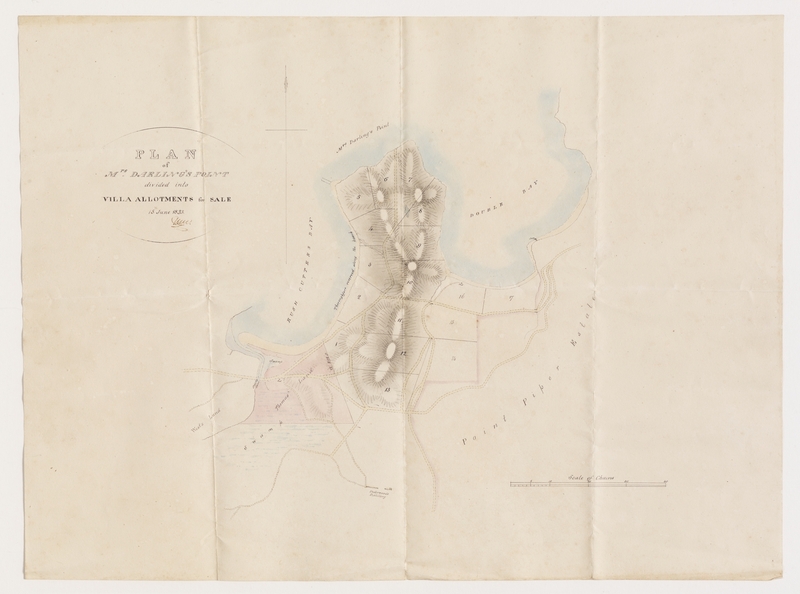 [Portion of Map of the Colony of New South Wales transmitted to Thomas Balcombe by Major Mitchell on 7 April 1834] [cartographic material] / Thomas Mitchell. 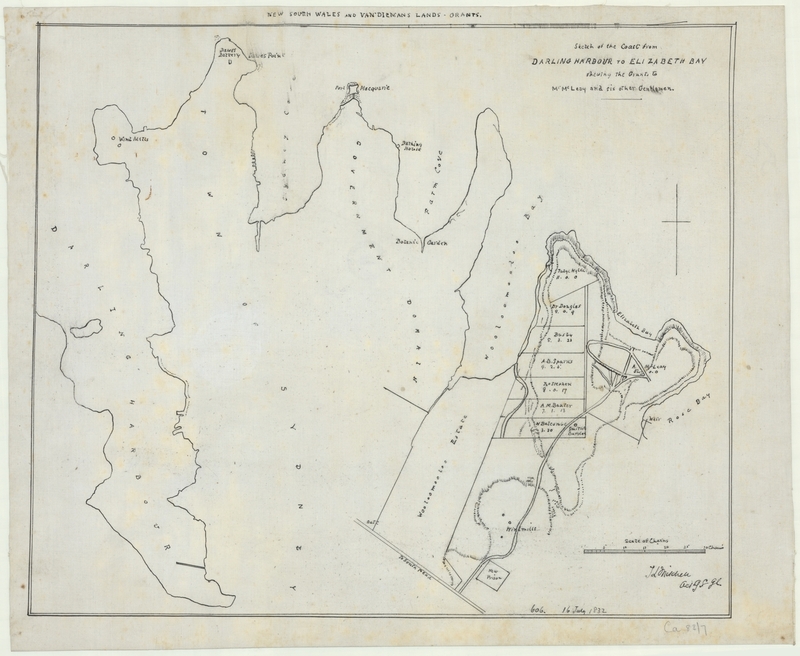 Area: map includes Rush Cutters Bay, Mrs Darling's Point, Double Bay, and Point Piper Estate. Map shows numbered allotments, unnamed roads and streets, swamp, huts, stepping stones, beach, wharf, fences, and Underwoods Distillery. Survey of the estate divided into lots marked 1 to 153 and A to X, totalling 1407 acres. Several streets and buildings shown in Edgecliff and Double Bay; the area covered is from Double Bay to Rose Bay. 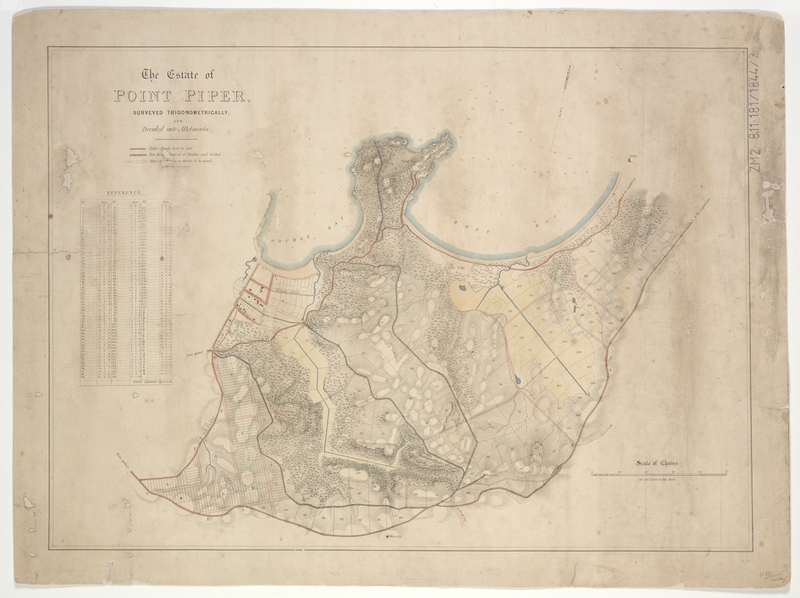 Captain Piper's original 190 acres on Eliza Point, acquired in 1816 and sold in 1828 are marked "1". 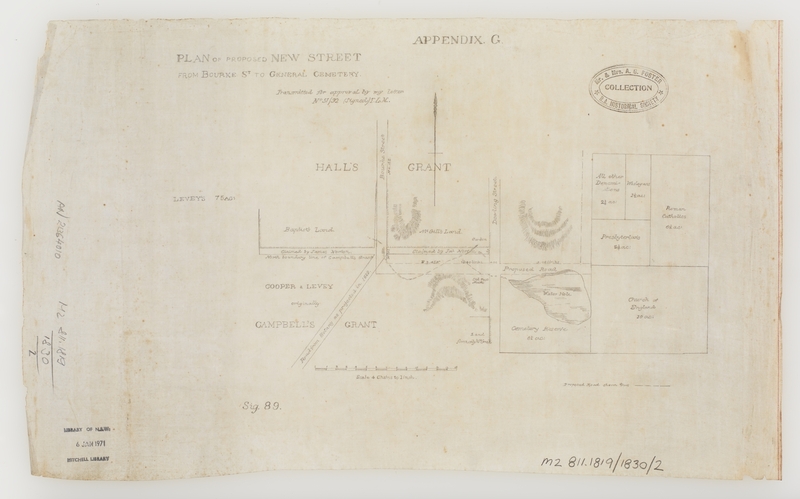 Plan of proposed new street from Bourke St. to General Cemetery [cartographic material] : transmitted for approval by my letter No. 51/92 / T[homas] L[ivingston] M[itchell]. Shows area from Balgowlah to Redfern Street and from Cockatoo Island to the Heads Streets and buildings shown and relief indicated by shading and depth by soundings. 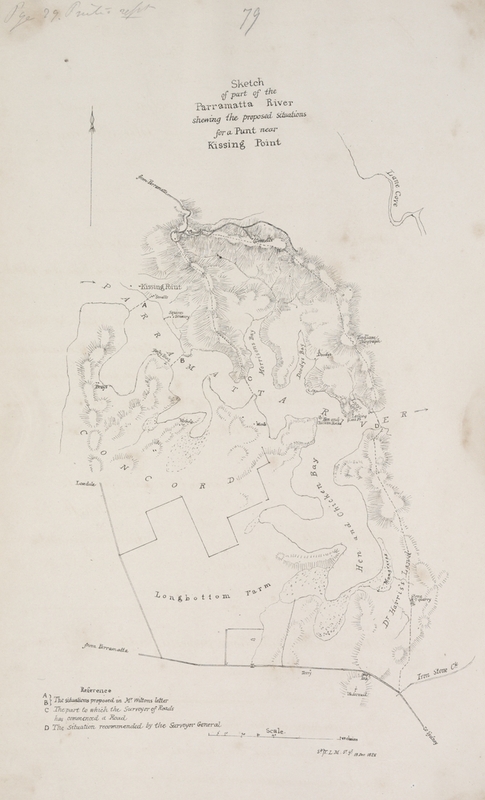 Insets: General view of Port Jackson taken with Theodolite from Station A in the Year 1829. View of the entrance to Port Jackson taken with Theodolite from Station B in the Year 1853. 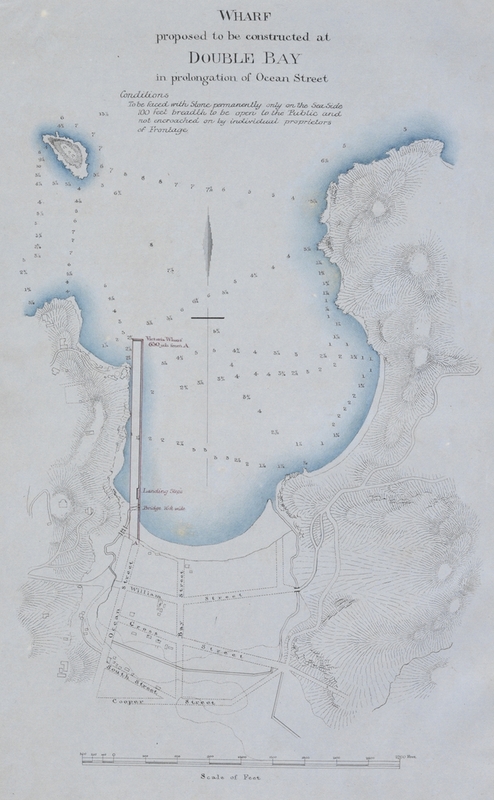 Trigonometrical survey of Port Jackson: commenced as a military survey by order of General Darling and continued as civil duties permitted or required, map, [London] : T. & W. Boone, New Bond Street, 1853. 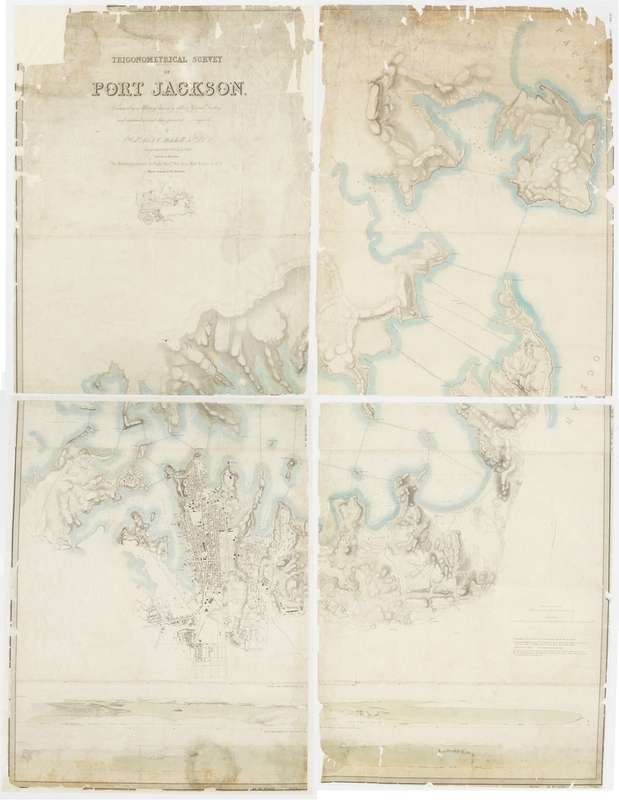 Sketch of the coast from Darling Harbour to Elizabeth Bay: showing the grants to Mr. McLeay and six other gentlemen / T.L. Mitchell. 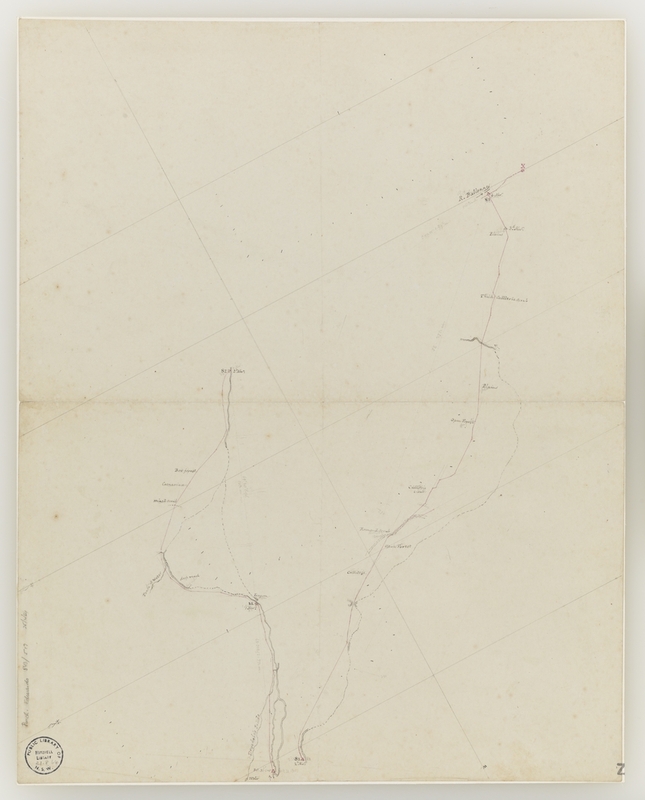 Cadastral map of area, now Point Piper, Sydney N.S.W. Regular extention' of the streets applies mainly to Surry Hills and further south. 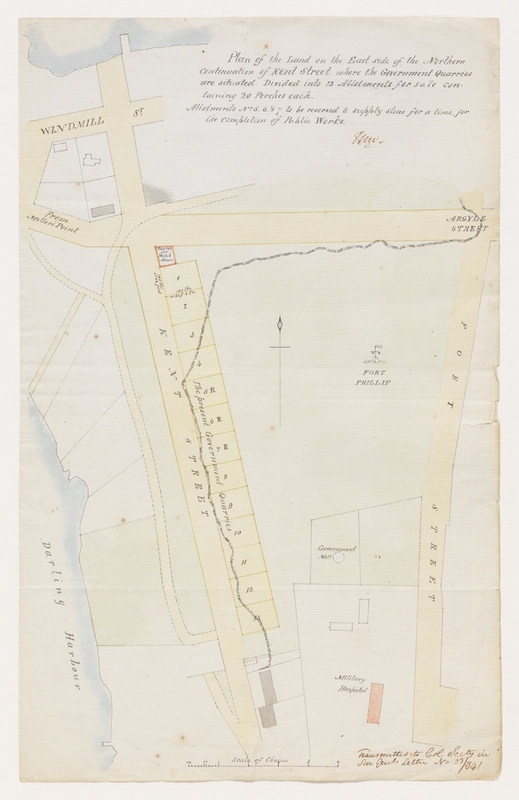 Peter Lewis Bemi (1795-1853) was a convict draftsman in Mitchell's Survey Department. Dismissed in 1830 much against Mitchell's will, Bemi established himself as a land surveyor. On verso in Bemi's hand: "A Present from Major Mitchell to P.L. Bemi." "Sir T.L. Mitchell to P.L. Bemi." We would like to acknowledge the generosity of The Institute of Surveyors NSW Inc - Seniors Group.